Water is the symbol of our emotions. All life forms consist of water. It involves healing, compassion, reconciliation, friendship, de-stressing, insight, peace, sleep, dreams, intuition, psyche, health and beauty. 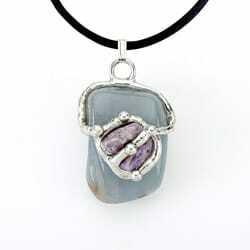 This cooling necklace contains: Aquamarine and Lepidolite which calms and soothes the emotions and bestows patience. 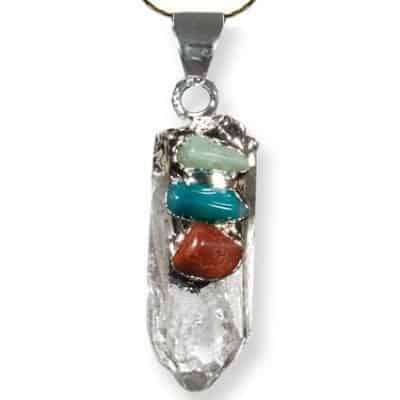 Both gentle stones create harmony and clarity to help one recognize the need for water personalities to stay centered and insightful. 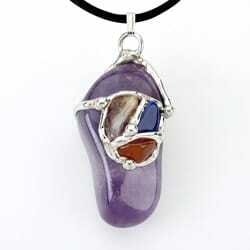 These unique, handcrafted stone combinations are handmade. They are approximately 3/4 to 1 inch in diameter. 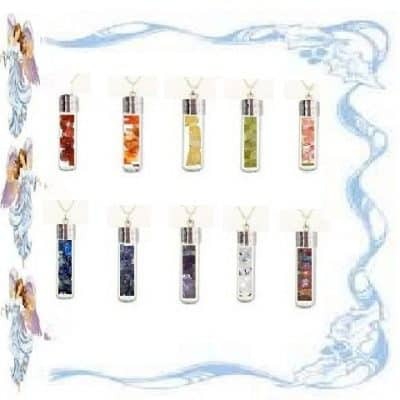 All necklaces come with black satin cord, pouch and include helpful information on how to enjoy your element stones. The Elements are the forces of nature that express their energies on earth and within us. They are the fundamental building blocks of many paradigms from every culture. Crystals have an affinity and association to the elements based on their structure, make-up and historical connections. 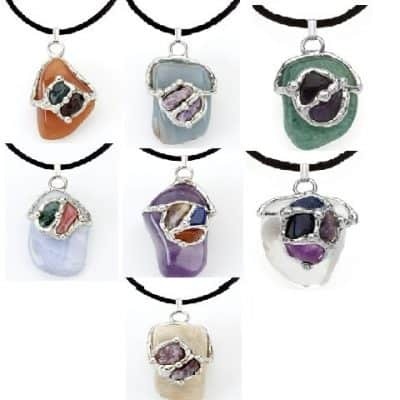 We have created a variety of hand-made necklaces for your specific needs, based on personalities, cultural paradigms (astrology, Chinese medicine, ayurveda, feng shui, celtic) and metaphysical needs.